Injured Montreal Canadiens goaltender Carey Price is not ready to return to the ice from a lower-body injury that has kept him out since late November, even though his rehab is going well, coach Michel Therrien said Monday. 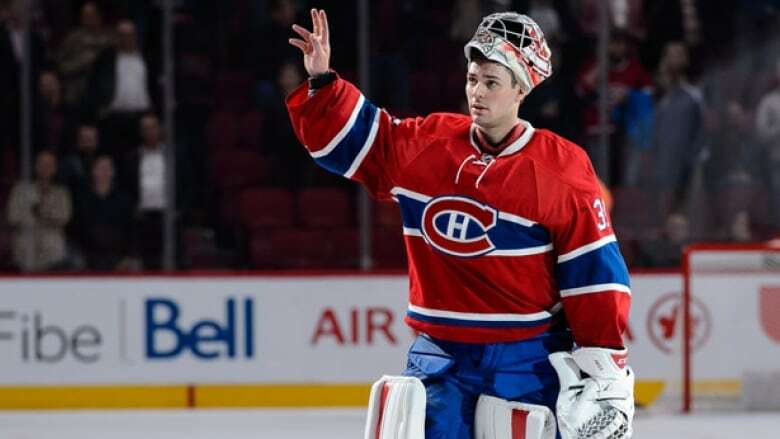 Injured Montreal Canadiens goaltender Carey Price remains sidelined with a lower-body injury that has caused him to miss a large chunk of this season. Coach Michel Therrien said at Monday's practice that, while Price's rehab is going well, the reigning NHL most valuable player is not yet ready to return to the ice. Price last played on Nov. 25, when he left a game against the New York Rangers after aggravating the injury. The Canadiens announced on Nov. 30 that Price would miss at least six weeks to recover from the unspecified ailment, which has not required surgery. Montreal's record after beating the Rangers on Nov. 25 was 17-4-2, and it was running away with the Atlantic Division. Since then, the Canadiens are 5-11-1 and have been surpassed by Florida for first place. Recently acquired goaltender Ben Scrivens will start Tuesday at Philadelphia. Price won the Hart Trophy last season as the NHL's MVP and also claimed the Vezina Trophy as the league's top goalie after setting career bests in wins (44), shutouts (nine), goals-against average (1.96) and save percentage (.933). This season Price, 28, has a 10-2-0 record with two shutouts, a goals-against average of 2.06 and a save percentage of .934. Last month a panel of sports journalists named him the winner of the Lou Marsh Award as Canada's athlete of the year.